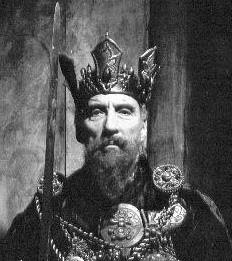 Ok, this is almost absurdly cultist item: the history of King Charlemagne in a concept album sung by Christopher Lee. Lee still rocks at 89! Keep walking! According to Lee himself, from an interview I watched some time ago, he is also the actor with the most swordfights in films under his belt.